A nice hug for your feet! 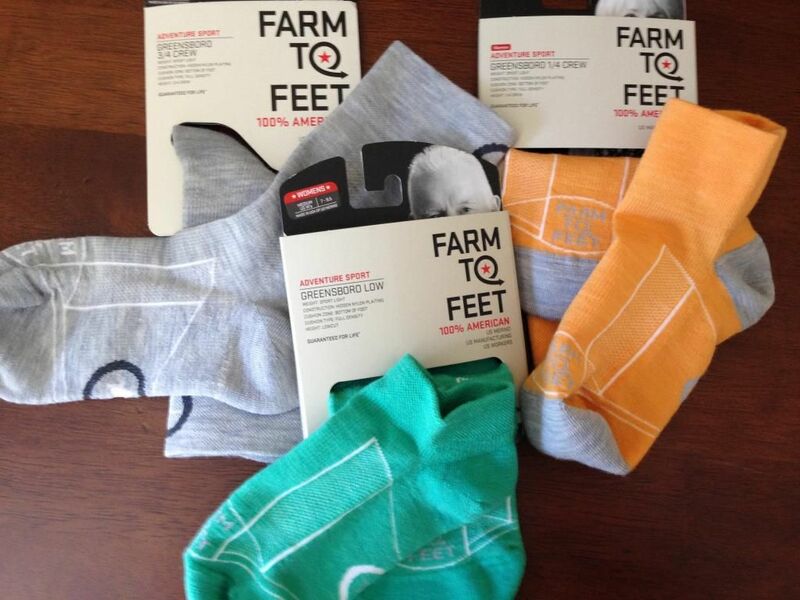 Our friends at Farm to Feet produce 100% American socks – from the wool, nylon, and Spandex used to make the socks to the manufacturing partners used and even to the paper and inks used in their packaging. We tested the Greensboro Socks (available in low, 1/4 crew, and 3/4 crew styles) and found that their comfort compression gave us a supportive, snug fit (hence the hug for your feet!) that helped us go that extra distance on a recent hike. So feel good about buying these socks, because they are not only a quality pair of socks, but you are also supporting our economy.